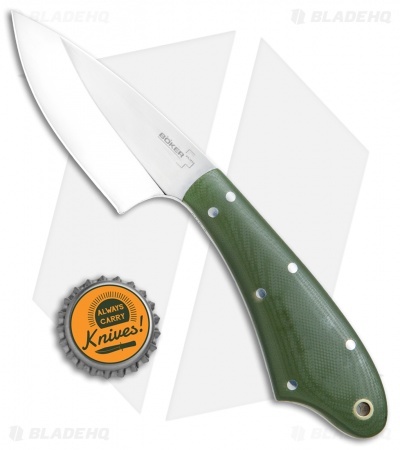 This Easedrop model sports a green G-10 handle and a polished satin blade. 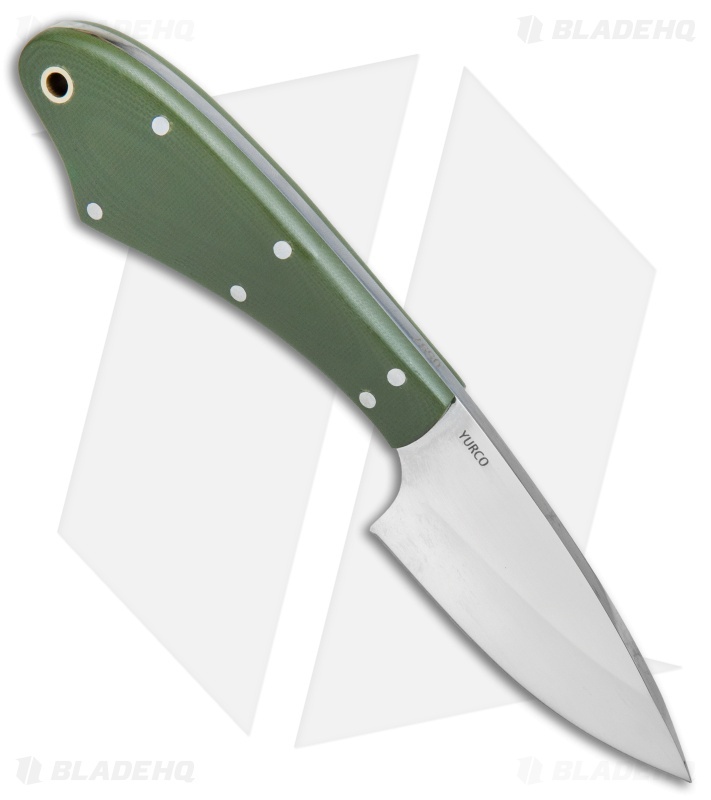 The Boker Plus Easedrop features a Mickey Yurco design who is known for his unique and sometimes unorthodox designs. 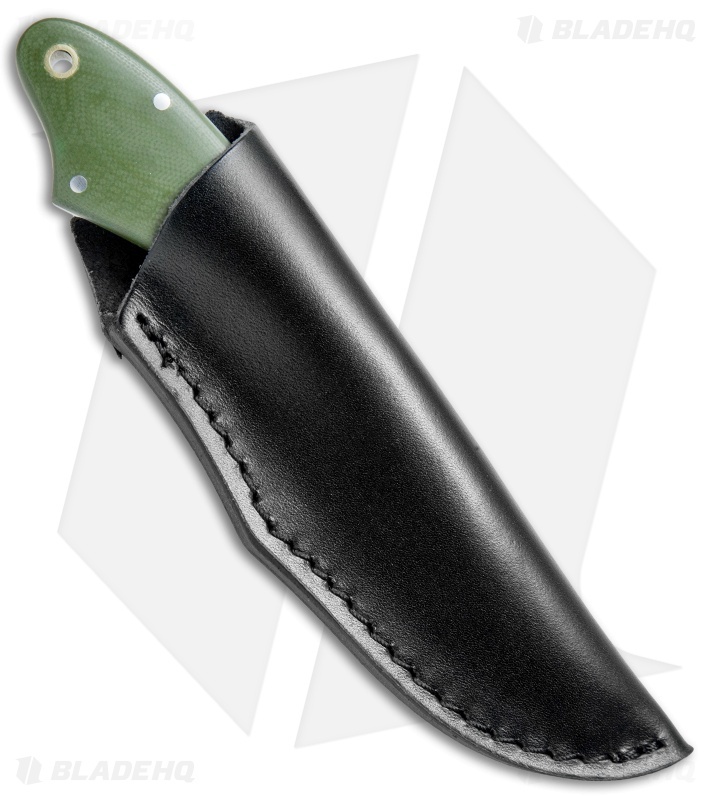 This model has a distinctive handle shape that rests naturally in your hand while providing a secure grip. 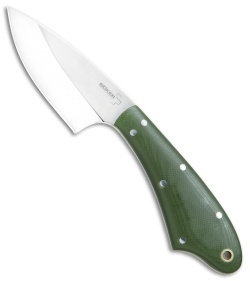 The thick drop point blade is made from AUS-8 steel with a polished satin finish, a hollow grind, and a plain edge. Item includes a leather belt sheath.